For lower total cost of ownership of treatment equipment in oily water applications, PerforMedia media from Siemens can be used in place of both flotation and walnut shell filters, reducing oil concentrations from 500 ppm down to 10 ppm or less with lower operating expense. 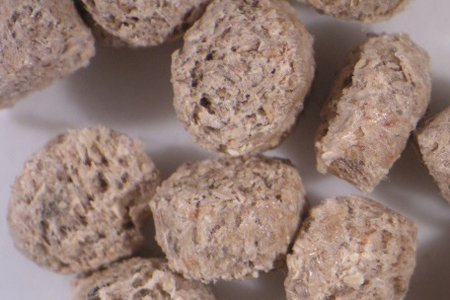 PerforMedia media is a patented, durable, synthetic media that is able to replace black walnut shells and other types of media in most filtration vessels. Compared to conventional walnut shell media, PerforMedia media is able to load five times more oil, allowing for the elimination of upstream flotation treatment steps. PerforMedia media can handle feed Oil & Grease concentrations of up to 500 mg/L with oil spikes >1000 mg/L vs. 100 mg/L or less for standard walnut shells. It can also handle high feed TSS concentrations, and is a physically larger media that is not as prone to plugging as conventional media.